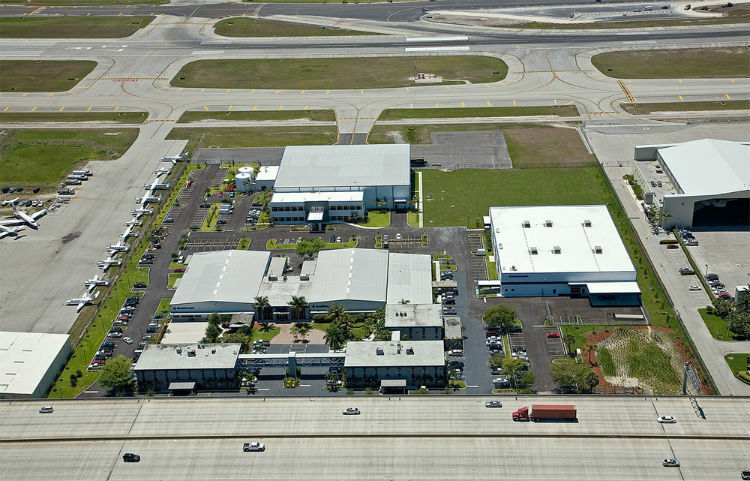 Fort Lauderdale, Florida is the home of Embraer Aircraft Holding, Inc. It has been headquartered there since 1979. Embraer is well-known as one of the largest aircraft manufacturers in the world. The headquarters’ site features over 109,000 square feet of built facilities which combines aircraft sales and post sales activities, including customer service, tech support, shipping and receiving of spare parts, etc. Embraer was Brazil’s largest exporter from 1999 to 2001 and the second largest from 2002 through 2004. As part of a nationwide expansion for Embraer’s business class aircraft, Chase was enlisted to construct three jet service centers, one of which is located at their main campus in Fort Lauderdale. The service center is approximately 57,000 square feet. Similar to the projects in Connecticut and Arizona, this facility includes administrative, shop and hangar spaces to facilitate in the performance of routine fly-in/fly-out maintenance. The building consists of a structural steel frame with a hybrid metal skin system over the frame of the hangar bay, a standing seam roof and textured masonry system make up the balance of the exterior, and at the offices and service facilities. The interior of the facility has a high-end finish look with much attention given to detail and comfort for Embraer clients, guests, and employees. In addition to the service center, Embraer asked Chase to construct a new spare parts warehouse to increase the efficiency and size of its current operation. This facility is approximately 35,000 square feet, and includes some administrative spaces. It is constructed of concrete tilt panels with a bar joint and metal deck roof framing system. The concrete floor has a light reflective shake-on hardener finish. As a final touch to the campus, Chase completed a site overhaul. This work included reworking all existing parking areas, adding a small guard house, and reworking and adding landscaping.